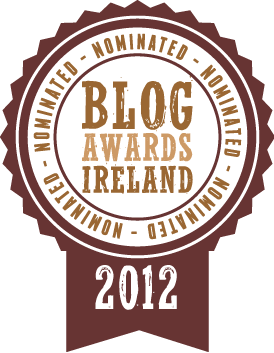 Hi folks, I’d really appreciate it if you would take the time to nominate me for the upcoming Blog Awards Ireland 2012. The Blog Awards Ireland will bring together the Irish online community collaborating in a single event in October to celebrate blogging in Ireland. The Awards will offer businesses an opportunity to increase their visibility and prominence in social media circles. With more people being guided in their buying decisions by bloggers rather than friends opinions, blogging is a considerably influential tool in word of mouth marketing.